S+ by Resmed is said to be a new smarter sleep solution, it;'s the worlds first ever non contact sleep tracker that will help you analyse and improve your sleep. I have been trying this our for a fair few weeks now and I'm here to tell you all what I thought about it. The S+ works with most smartphones and tablets, as long as you can download the S+ by resmed app then it's going to work. I have a android and it worked no bother, I haven't encountered any problems to date with it which is great because the reviews on the app made me a little worried but all has been fine. With this you will get tailored feedback about your sleep, it's great because this tracks all your movement through the sensor placed on your bedside table. This is apple watch ready, Apple ready and Android ready which is great because I hate when something comes out and it's only available for Apple. 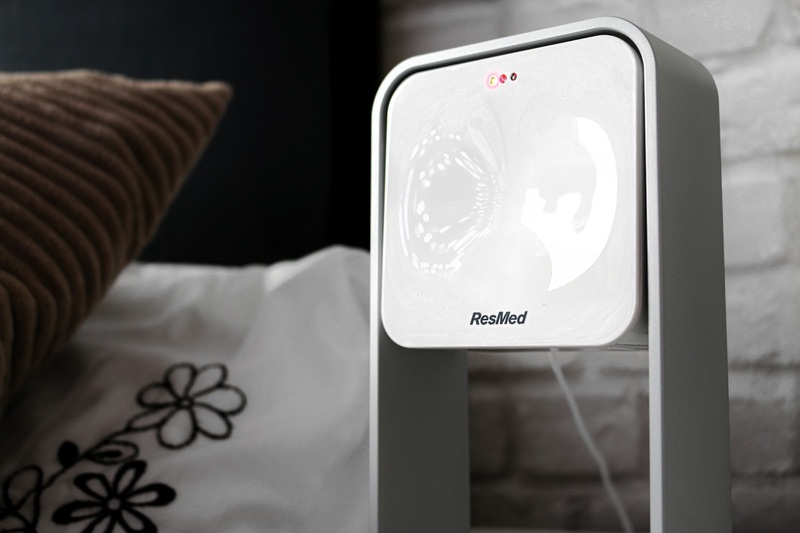 This device includes software algorithms that will recognise the combination of respiration and body movement signal so that your overall sleep state can be reliably assessed. 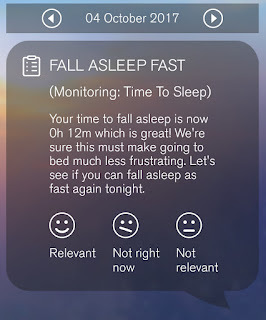 In the app there are so many features like the gentle wake up alarm which wakes you up over a period of time that you set making it easier for you to get up in the morning, if you're anything like me and hate waking up in the morning then this can really help. 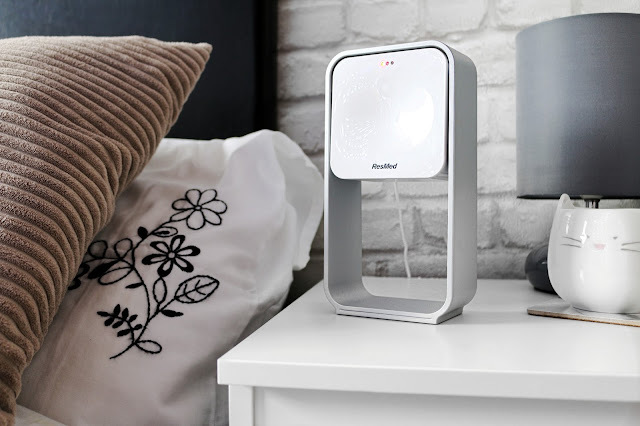 This also has a mind clear feature which allows you to take voice notes or write out anything that comes to mind when you're trying to sleep. 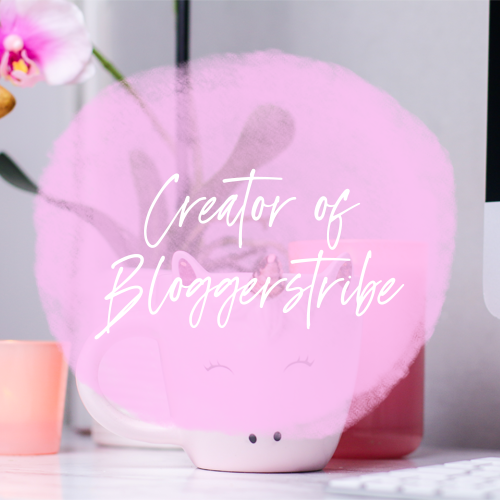 Now for me this is the best feature, lately I have been getting struck with late night motivation, it makes me want to write so many blog posts but I am just too tired to do it. Before this app I would have to get up, get some paper and write it down or go onto my phone, get blinded by the brightness, adjust that then write out my idea where as now I just click mind clear, record a voice note and it's stored for me until I go in and retrieve it, even then it sticks around until you delete it, but what about the screen I hear you ask? 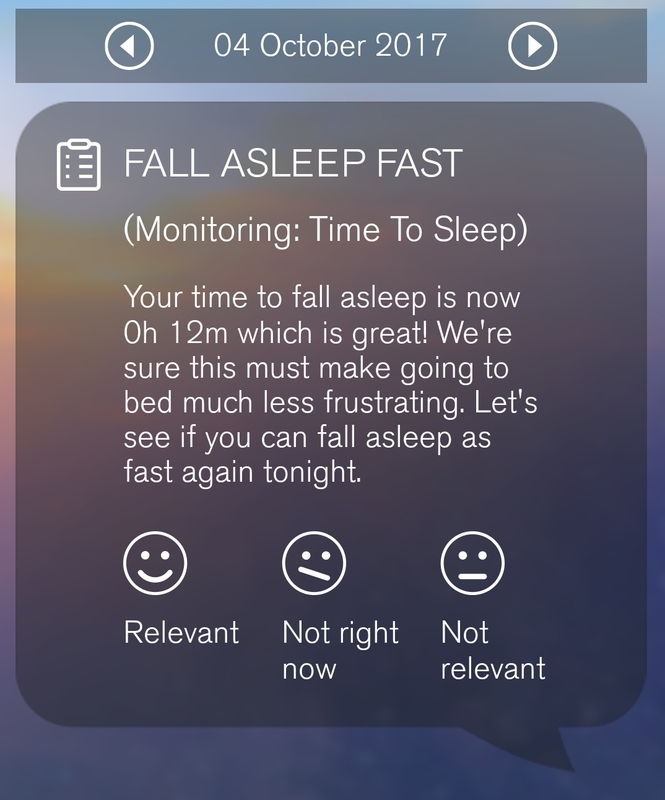 I mean I am still going onto my phone but with the S+ app this screen stays up the full night until you go to sleep so they dim the screen right down so you don't notice it and you can just click the screen, record and go to sleep, super simple. 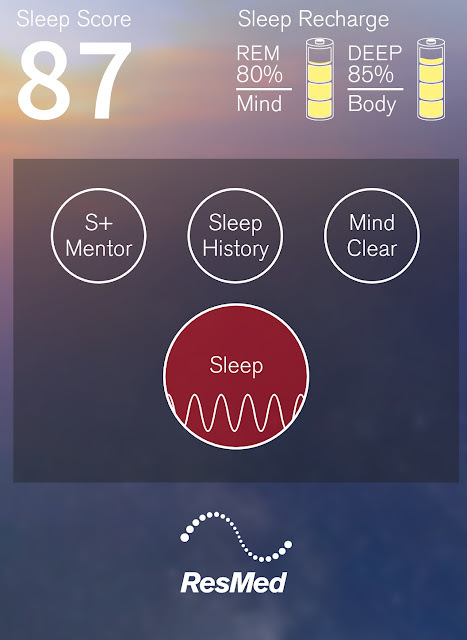 There is also the option to turn on relaxing sounds to help you fall asleep easier but I haven't used this feature as there are no sounds I find particularly relaxing, well, not relaxing enough to send me to sleep so I stick with my sleep hypnosis track I have which I can play in the background of my phone without interfering with the app! RESULT! 80% of users with an average sleep score of 30-40 saw improvement after one weeks use. Users with average sleep scores between 50-60 improved their sleep by an average of 44.71 minutes per night after one week of use. 69% of users with a below average sleep score of < 75 saw an average improvement in sleep score by 9.2% in second week. Since I have been using this I have noticed that on certain days I tend to sleep better, it's been a pattern each week with me getting a similar score on that particular days so I am looking at what I do those days and trying to fix it, take a Sunday night for example, that tends to be the night I get the worst sleep and I think it's because my mind in just flooded with thoughts of things I have to do the up coming week. Then on a Friday I always have an amazing sleep, probably because I get about 8/9 hours as Leon's off nursery and I don't have college. It's really interesting seeing how I sleep, when I am awake and what I could do with improving. When you wake up and press the button to signal you're awake the app will return to the home screen and about 10 minutes later I get a notification with my suggestions of the day based on my sleep. It's great seeing what suggestions there are, what I could improve on and where I am going wrong. 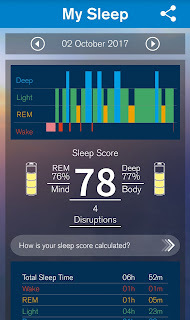 So far I have already started to implement a better sleeping schedule, I am trying to go to sleep the same time each night roughly and I have noticed that improves my sleep score. All in all I am impressed with this little device. It picks up movement no bother, I get clear sleep reports and the app is super easy to use. I love that I get sleep reports and I can keep my sleep hypnosis track on in the background as that was a bit of a worry when I first got this. 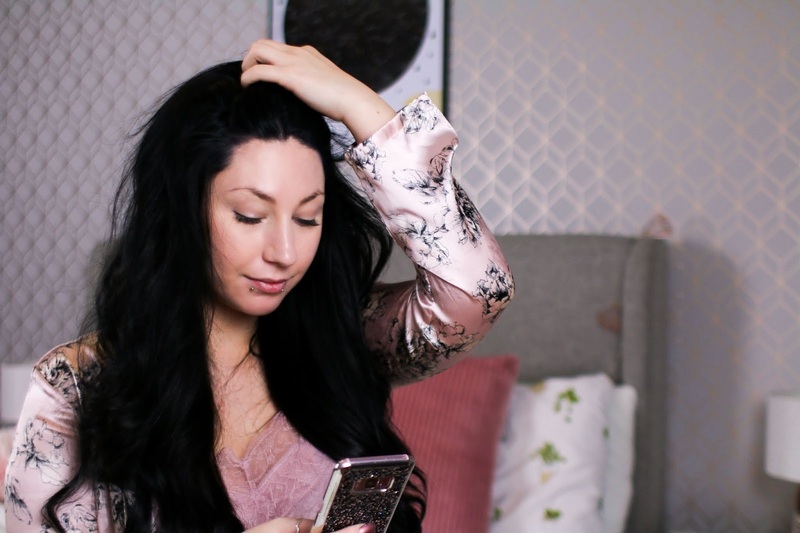 The ease of use really has made this a winner for me and now I can't imagine not doing my sleep track every night. 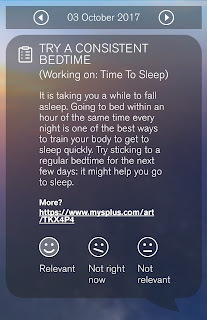 I like that it asks you questions before you hit "Goodnight" so you can say if you have been stressed, if you have had any alcoholic drinks or energy drinks and if you have done exercise. It's such a well rounded product to be honest. 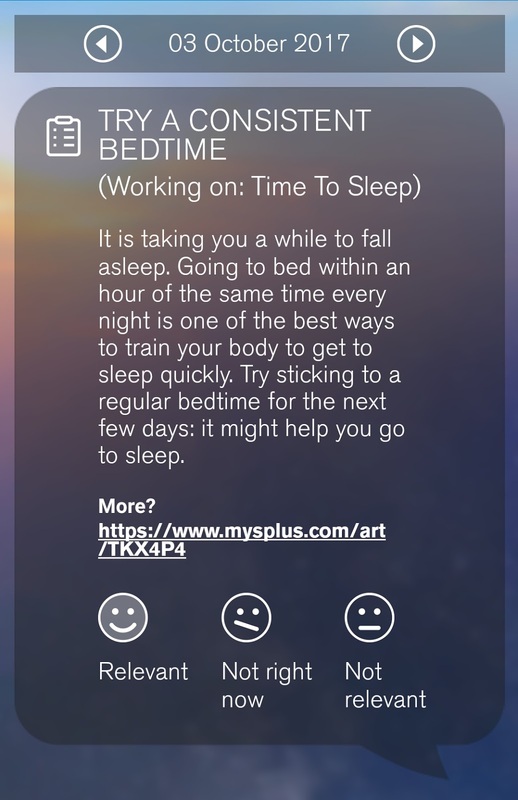 Oh wow what a smart little product, I don't have trouble with sleeping but I can see how useless this would be for someone who does have trouble, great post! You're talking to the right girl about late night inspiration and motivation! 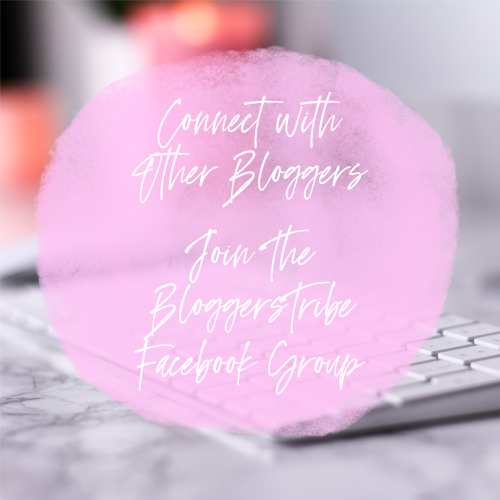 I had so many blog post ideas flying through my mind at about 11pm last night when I was trying to drift off to sleep haha! It's ridiculous! I would love to try this out just out of curiosity about how much I actually sleep! I was pretty sure I commented on this one while we were away but no matter! This looks and sounds like a perfect little device! And to think I didn't notice it beside your bed for so long! I adore smart little products like this! It sounds amazing and I think I need to invest in it to help me to start sleeping better. I struggle a lot and I feel this would help me to get into a normal rhythm shall I say.